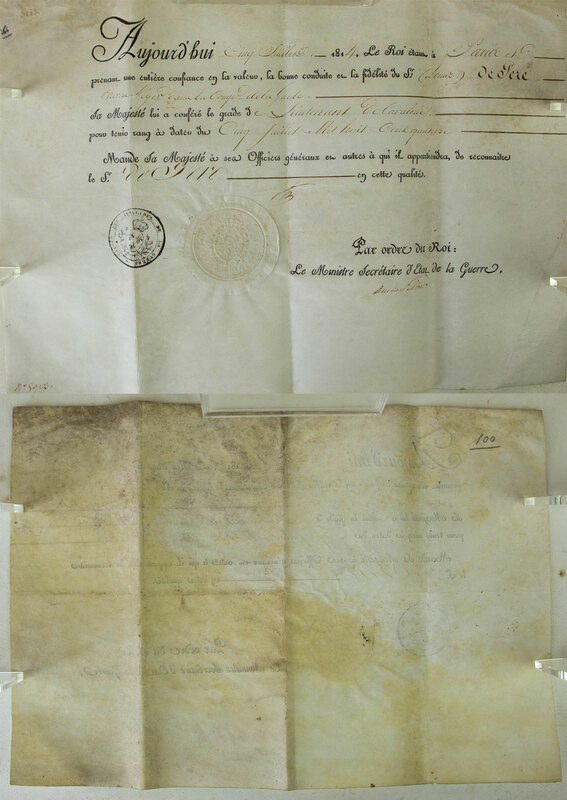 PLEASE CLICK IMAGE TO VIEW - GRANT OF RANK - FIRST EMPIRE 1814 - on velum a grant of rank of Lieutenant of Cavalry to the elite Cheaveau Leger de la Companie de la Garde with official seals of the Ministry of War. The year before Waterloo. 36cm x 25cm. 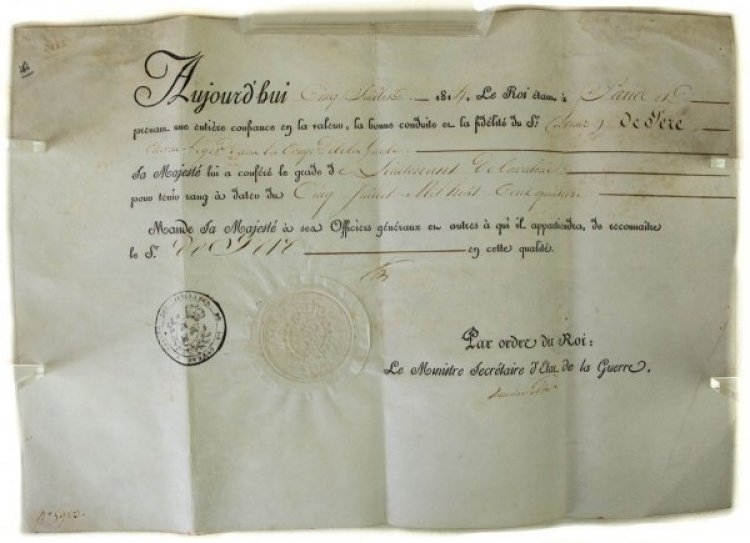 This is a very rare document. Good condition, colour excellent appears to have been stored folded and out of the light.